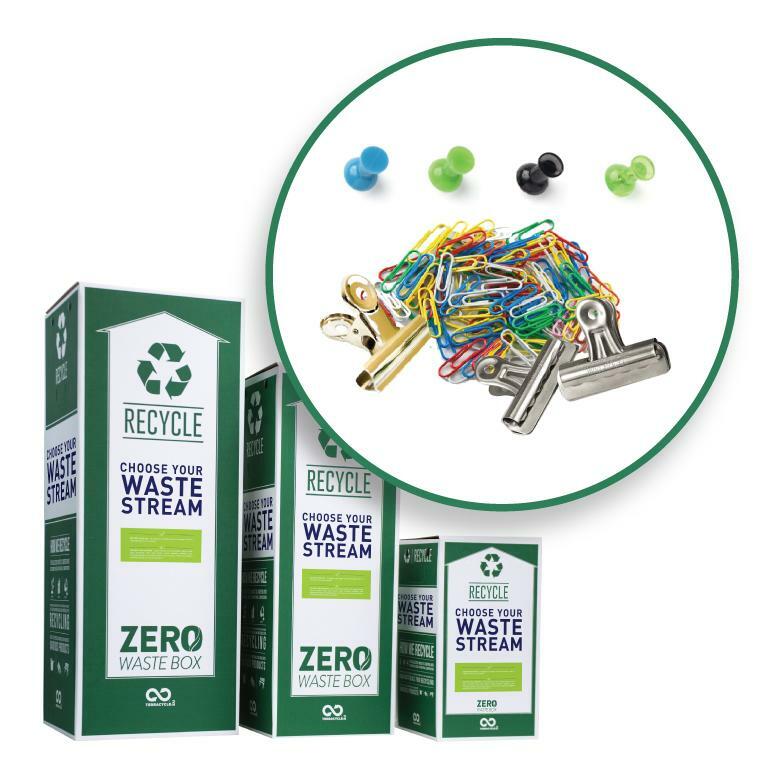 Use this box to recycle small holding devices used in an office. 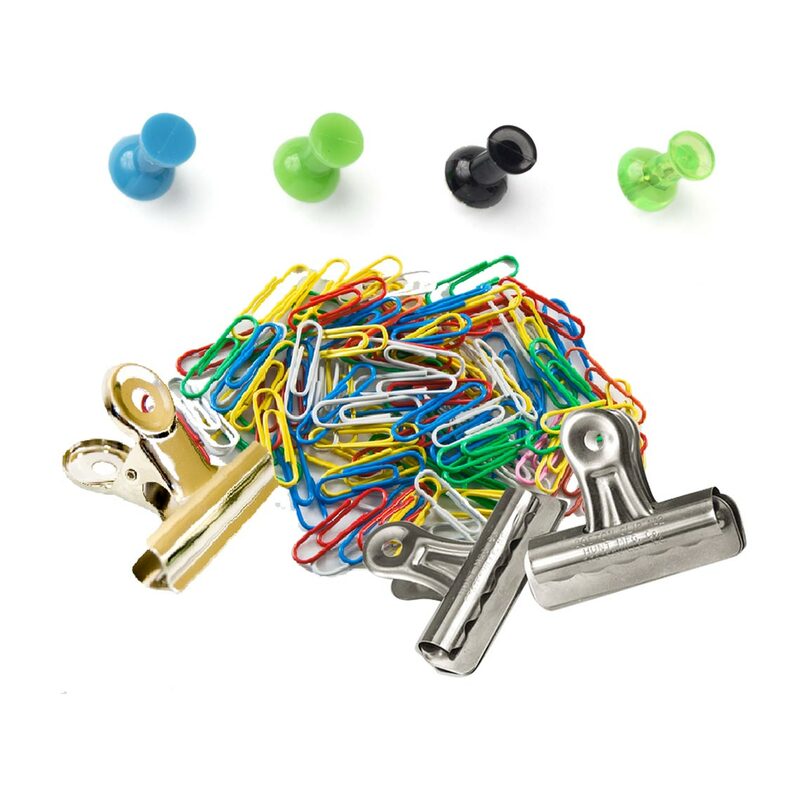 Please send us your discarded paperclips, clamps, binder clips, bulldog clips, paper fastener, thumbtacks, pushpins, staples, and office rings. Please do not include unwanted binders, staplers, hole punchers, pens, pencils, folders, or paper. 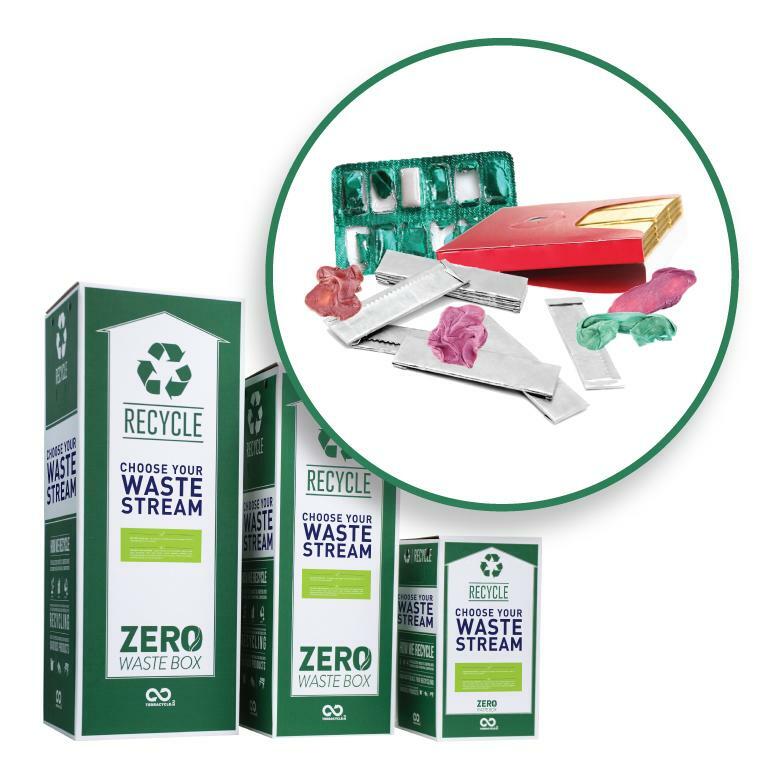 Please note that we will not accept organics, broken glass, bio-medical waste, soiled nappies, expired medication, pesticides, paint, pressurised canisters, and medical sharps in any of our boxes. Please send traditional recyclables through your local council system.